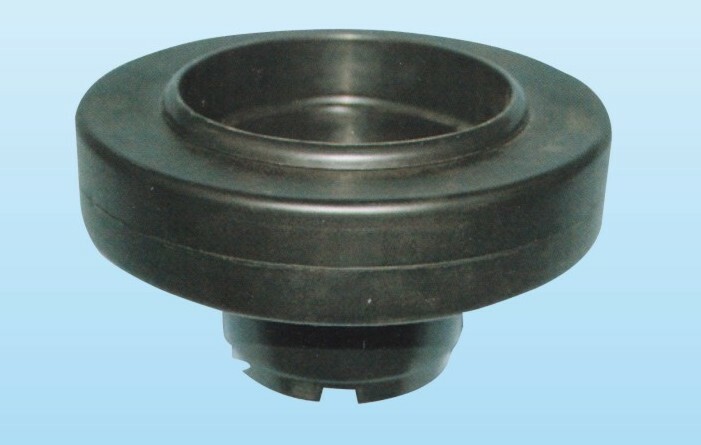 Ceramic disc size: 4/5". This life span is 2000 to 3000 hours. Replace it every 3 month. It utilizes electrical oscillation at ultrasonic frequencies. The ceramic disc changes electrical oscillation into mechanical oscillation that creates a natural white mist and water spray on the surface of the water. When placing it in any large bowl containing clean water. 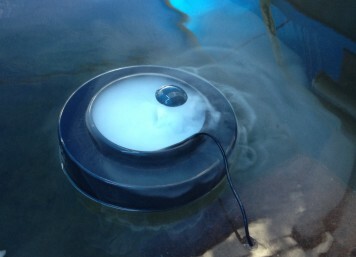 It produces mist out of the water immediately. The mist adds moisture and humidity to any dry environment. Won Mist Generator can be used as an aromatherapy diffuser if adding a few drops (1 or 2 drops) of essential oil in the water. Fragrance will carry throughout the room and give you a clean dreamy space. When using essential oils change the water and rinse the device often. 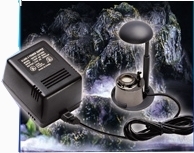 Won Mist Generator will also create a magical effect in water fountains, water falls, ponds and terrariums. It is also ideal for plants. It adds healthy moisture as a fluid in a gaseous phase which is capable of deep penetration of minute spaces. 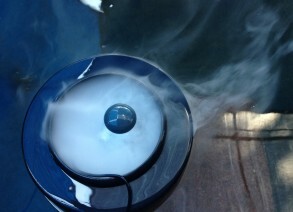 Won Mist Generator can be used for a centerpiece on a party table. Make sure that your electrical voltage is compatible with voltage printed on the transformer label. 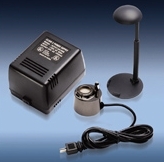 Always unplug the power supply from the electrical outlet when removing mist generator from the water. Ensure mist generator is securely installed before operation. Do not touch the ceramic disc of mist generate in the water while in operation. Use only the transformer supplies. Keep an ideal operating depth of to 1½" to 2" water that is clear and does not contain any corrosive matter. To avoid electrical shock or short, use a drip loop to prevent water travel along the cord.